Promises are Good. Performance is Best. The materials refer to parts in contact with the media. 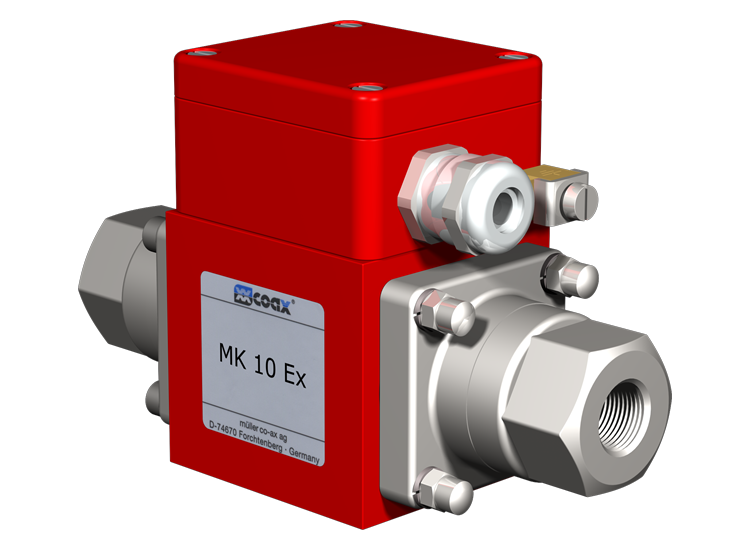 The valves' technical design is based on media and application requirements. This can lead to deviations from the general specifications shown on the data sheet with regards to the design, sealing materials and characteristics. For 59 years, müller co-ax ag has been an innovative leader in the unique design and manufacture of coaxial valve technology for businesses worldwide. Based out of Forchtenberg Germany, the company has grown from the humblest of beginnings into the industry standard for valve technology that it is today. In 1997, müller co-ax ag sought to better serve the needs of its rapidly growing US customer base through the establishment of its first subsidiary abroad: co-ax® valves inc. in Bristol, Pennsylvania. Since its foundation over 15 years ago, co-ax valves inc. has been the central core for parent company, müller co-ax ag’s cultivation of US partnerships — bringing its cutting edge valve expertise for the control of vacuums and gaseous, liquid, gelatinous, abrasive, contaminated and aggressive media, to the forefront of the American market. Today, müller co-ax ag continues to expand its international presence, providing customers and industries worldwide with the exceptional customer service focus that the company has maintained over its 50-year history.